We are very happy to let you know that our new office at 14 Browne Street, Campbelltown will open on Tuesday 24th April 2018. 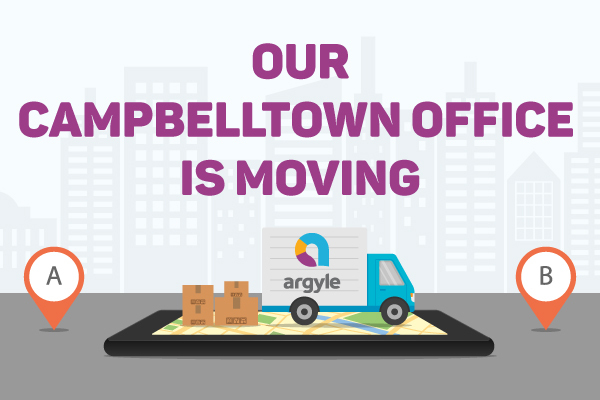 Our phone number and email address remains the same at 02 4627 0002 and campbelltown@argylehousing.com.au. Please note that the Broughton Street office will be closed from 2pm Thursday the 19th of April, however, whilst we are busy moving over to our new location our phone lines will be open and monitored by the staff in our Bowral office if you need to call us. The new open-planned office space at Browne Street has been designed to give you a customer service experience that is engaging and encouraging. We look forward to welcoming you through the doors and getting your feedback on the new and exciting office space.